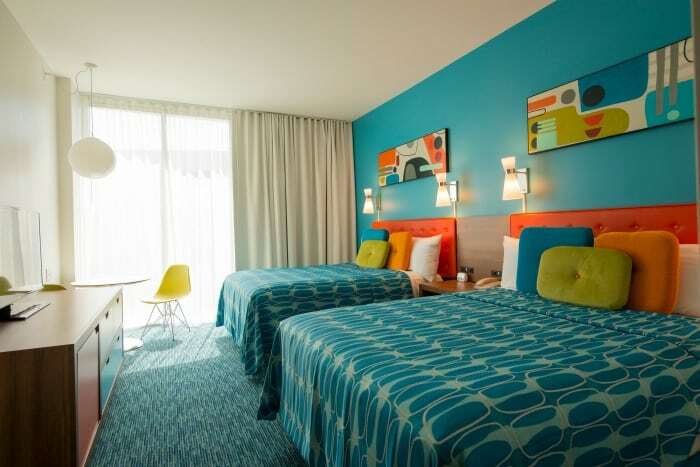 Cabana Bay Beach Resort is my first choice for Universal Orlando hotels if you’re traveling with a family. We recently had the opportunity to stay and kick the tires for a week at Cabana Bay Beach Resort in Orlando, Florida and WOW! Thank you Universal Orlando for having us! 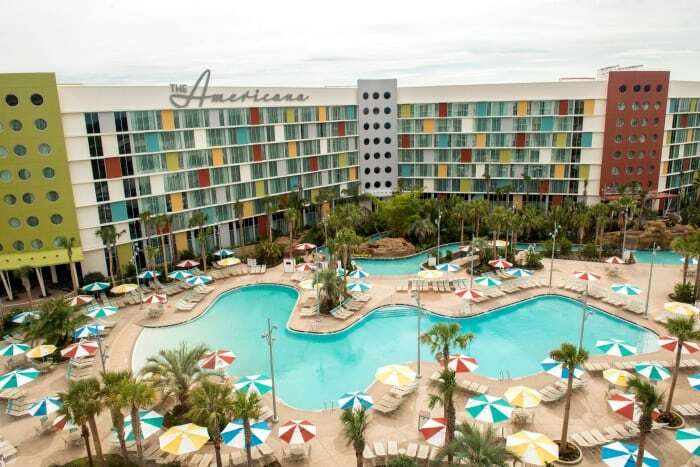 I was lucky to attend a work retreat at Cabana Bay and after that wrapped up, my husband and kids joined me to hang for a bit and check out all the family friendly amenities. We are super looking forward to going back to the Cabana Bay Beach Resort again (hopefully soon! ), and I’ve listed out below a few reasons why we loved the resort so much! 1. So many family friendly things to do! 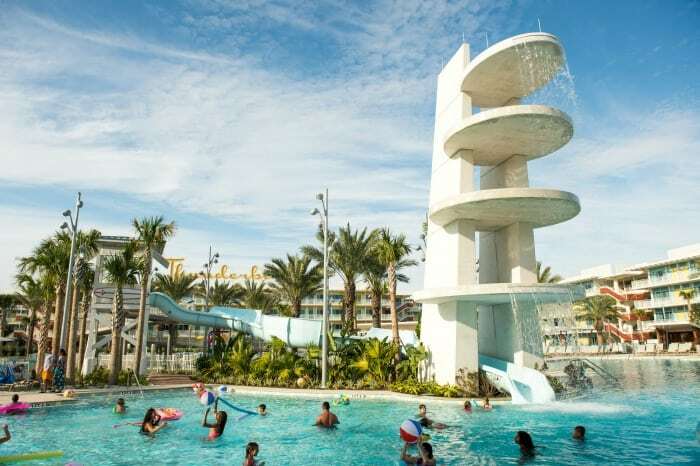 Right on-site, the Cabana Bay Beach Resort has two pools (one with a slide! ), a lazy river, sandy beach areas, fire pits for roasting marshmallows, an arcade, and a bowling alley! No, seriously. There’s a bowling alley. My kids’ favorite part was the pool slide, followed closely by the arcade. Me? I’m a lazy river girl. INSIDER TIP – you can get pizza delivered directly to your room from the Bayliner Cafe. And, P.S. it’s really good pizza. 2. Walking (or short shuttle) distance to even more things to do! We took a short 15 minute walk from the resort over to City Walk a few times. When the weather didn’t cooperate we grabbed the 5 minute shuttle. City Walk has shops, restaurants, and entertainment, and is also where you enter the Universal Orlando theme parks, Universal Studios and Islands of Adventure. 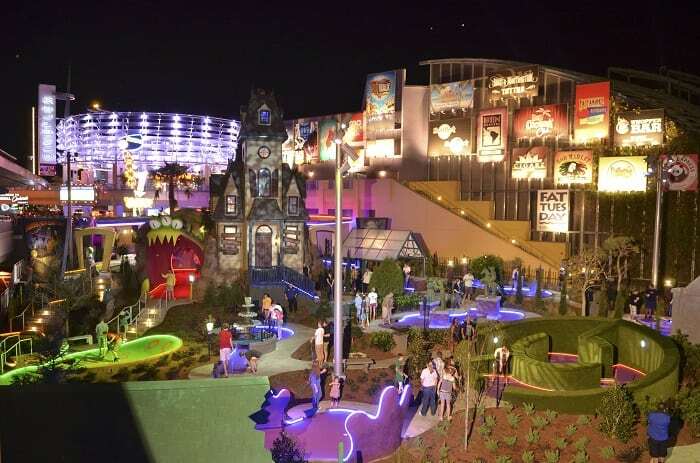 My kids especially loved playing mini golf and then catching a movie. Cabana Bay is also walking distance to Universal’s brand new water park, Volcano Bay! 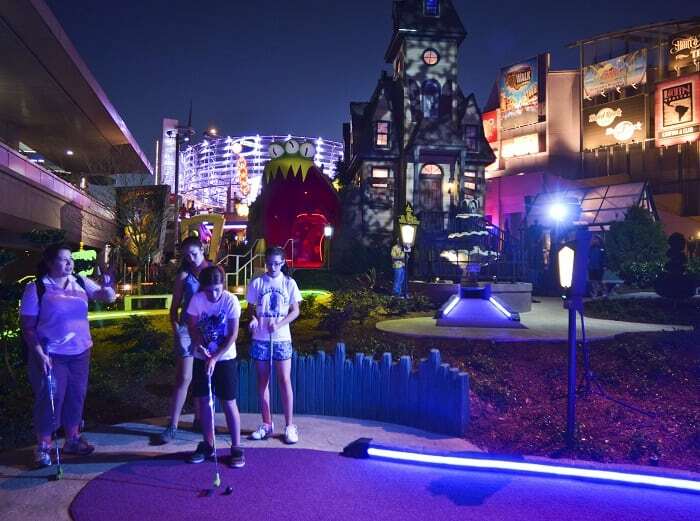 INSIDER TIP – if you purchase two games of mini golf, not only do you get a discount, but the second game never expires. So you can hold onto it for another day or your next vacation. Make sure to also play the trivia game – there are prizes at the end, including the chance to win more golf rounds! 3. Early entry into the parks – for folks who stay at the hotel. This. This, you guys. Especially during peak seasons like summer and holidays, it really can make all the difference between an awesome vacation and an absolutely magical vacation. Imagine a full hour of a nearly empty park – ripe for the riding! Yasssssss. 4. The Bayliner Cafe – A cafeteria style restaurant with incredible food choices. Okay, this might have been my favorite part about Cabana Bay Beach Resort – there were so many quick service food choices and every. single. thing. I tried was delicious. You’ll definitely want to check out the margherita pizza, the chocolate croissants, and the perfectly crispy bacon. Oh! Also the lobster rolls. Mmmmmm. Plenty of choices for children and parents alike so no one is compromising on taste. INSIDER TIP – make sure to get the refillable mugs! You can pay for the number of days you want or choose the entire length of your stay. The mugs can be refilled with soft drinks, seltzer, coffee, tea, and slushies all over the resort! 5. The family suites! As someone who travels a lot with our big family (five kids!) 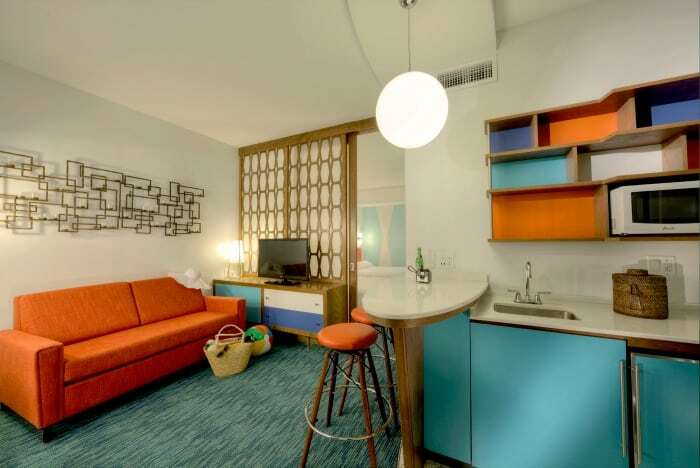 and is always looking for suites, I can say Cabana Bay did it all kinds of right. The family suite has two full and completely separate rooms (not just a pillar or arch dividing the space) with a door between the rooms that is majorly sound dampening. The bathroom is divided into three sections, a toilet with a door, a shower and sink with a door, and another vanity with mirror and sink. There is also a walk in closet, as well as two dressers for stashing stuff. The kitchenette has a microwave, refrigerator, sink, and breakfast bar, and plenty of shelf space to stash your snacks! INSIDER TIP – traveling with a larger group? Ask for adjoining suites, or check out the newly opened two bedroom suites! Thank you so much to Universal Orlando for the fantastic accommodations, fun park days, and delicious food, thank you to Kia for the swanky rides, and thank you to Squatty Potty for making sure everything came out all right – and smelled good when it did. 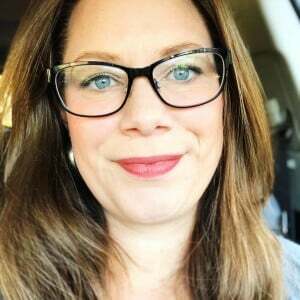 « FabFitFun Spring Box – Unboxing with Spoilers! SO fun! the Cabana Bay was a fun stay and I can't wait to go back – with my kids next time. They would LOVE the pool! !